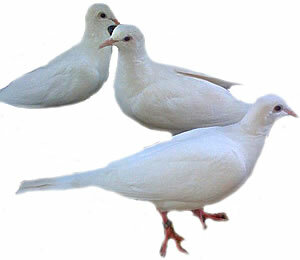 White ring neck doves (also known as "love doves") provide a beautiful added touch to any occasion. These love doves are meant for decoration only. Never use these doves for release, as they will die quickly and fall to predatory animals. White ring neck doves make great pets for people of all ages.